Vertebrate color vision is an ideal system for studying the gains and losses of genetic variation across lineages and impacts on behavior. 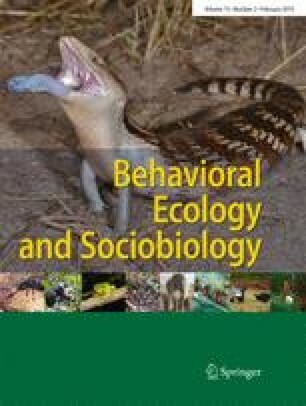 Among placental mammals, trichromatic vision is unique to primates and is argued to be adaptive for foraging on reddish food. However, trichromacy is variably present in lemurs, including species within the cathemeral genus Eulemur, due to inter- and intra-specific variation in X-linked opsin genes. Although this variation could result from genetic drift, it could also reflect ecological adaptation. To understand ecological contributions to color vision variation, we examined cone opsin genes of 11 Eulemur species. We found that only E. flavifrons and E. macaco have polymorphic trichromacy. Most dichromatic species have an “M” (green-shifted) opsin; uniquely, one species (E. rubriventer) has dichromacy based on an “L” (red-shifted) opsin. This latter result appears to represent loss of polymorphic trichromacy from a dichromatic (M opsin) or polymorphic Eulemur ancestor. To address potential ecological explanations for opsin variation, we studied the dietary behavior of wild E. rubriventer and collected reflectance spectra from plant species consumed. Visual models suggest that trichromacy should provide an advantage for detecting reddish foods; however, luminance contrasts were greatest for dichromats with the L opsin. As E. rubriventer are often active in low-light rainforest conditions, luminance cues may be relatively important, which could favor the L opsin, while also leading to relaxed selection on, or selection against, trichromacy. The presence of different opsin alleles across Eulemur species could represent adaptations related to diet, activity pattern, or habitat. Loss of genetic variation, often thought to be maladaptive, can occur through natural selection. Among primates, some species have trichromatic color vision, the ability to distinguish reddish and greenish hues; others are red-green colorblind (dichromatic). We examined adaptive explanations for color vision differences by studying cone opsin genes and behavior in wild lemurs (Eulemur)—a genus that is active both day and night. We found that color vision is variable in Eulemur species, and full trichromatic vision was likely lost in at least one lineage. Foraging ecology of dichromatic Eulemur rubriventer indicates that trichromatic vision should be advantageous for foraging on reddish foods, but brightness cues are more salient to this species’ vision. We suggest brightness may be more important than color to this species, particularly at night, and loss of trichromacy could be adaptive in some lemurs. The online version of this article ( https://doi.org/10.1007/s00265-018-2629-9) contains supplementary material, which is available to authorized users. We thank Benjamin Andriamihaja and MICET, Ministère de l’Environnement, de l’Écologie et des Forêts, Madagascar National Parks, Eileen Larney and the Centre ValBio, and the University of Antananarivo for providing logistical support and research permissions in Madagascar. We thank S. Ambler, C. Angyal, B. Chowdhury, J. Falinomenjanahary, J.P. Lahitsara, A. Minoasy, N. Phelps, T. Randriarimanga, E. Razafimandimby, D. Razafindraibe, J. Razafindramasy, A. Telo, A.V. Tombotiana, Velomaharavo, and J.B. Velontsara for assisting with data collection in Madagascar. We also thank Stephen D. Nash for generously allowing use of his illustrations in this manuscript’s Figs. We thank Lauren Anderson, Melissa T. R. Hawkins, Cynthia Frasier, Shannon Engberg, and Carolyn Bailey for assistance with lab analyses. Finally, we thank three anonymous reviewers for their helpful comments. This research was funded in part by the National Science Foundation (DDIG, BCS 1232535), the Leakey Foundation, the Wenner-Gren Foundation, the RW Primate Fund, Yale University, The George Washington University, and the Interdepartmental Doctoral Program in Anthropological Sciences at Stony Brook University. All behavioral protocols and animal handling procedures were approved by and adhered to institutional animal care requirements (Stony Brook IACUC# 2011-1895, Omaha’s Henry Doorly Zoo and Aquarium IACUC# 97-001, 12-101, and Northern Illinois University IACUC #LA12-0011) and national laws. Data collection, sample collection, and export permits were obtained from Madagascar National Parks, formerly Association Nationale pour la Gestion des Aires Protégées (ANGAP), and the Ministère de l’Environnement, de l’Écologie et des Forêts. Samples were exported/imported under the Convention on International Trade in Endangered Species (CITES) Appendix I permits.